Law enforcement in New Jersey is increasingly using the DUI checkpoint to try and prevent drivers from driving while intoxicated and catching them if they do. These checkpoints are posted in spots where there is a high concentration of traffic, where there are nightspots, concerts, sporting events, and other venues where people are likely to have been consuming alcohol. These are not done in secret. They are frequently used late at night and in areas where a bulk of DWI infractions are known to occur. People who are approaching a checkpoint might become paranoid and intimidated even if they haven’t had anything to drink and don’t need to worry about an arrest. The simple act of being stopped by a police officer can be scary. That doesn’t mean the driver should avoid the checkpoint. The manner in which cars are selected for investigation is commonly done by the officer’s counting cars. The luck of the draw will dictate whether your car is stopped. Drivers might not realize that there is no legal requirement to stay on a road in which there is a checkpoint. You are perfectly allowed to turn off – in a legal fashion – to avoid it. If you do something illegal to avoid the checkpoint and the officer sees you, you will be stopped. Even if you’re not committing a DWI, an illegal maneuver such as a U-turn will lead to a traffic ticket. When stopped at a checkpoint, the officer will ask you a few generic questions to see if you exhibit signs of being intoxicated. If you don’t, you’ll likely be allowed to go on your way. If you do, you will be held for further investigation. It has long been a debate as to whether checkpoints are legal. Some legal scholars believe that a citizen’s rights should be protected under the fourth amendment against illegal searches and seizures. That argument has fallen on deaf ears with the Supreme Court. The argument is that these checkpoints are in the greater public’s interest to keep the roads safe from those committing DWI. Drivers often wonder whether they’re required to answer questions when stopped at a DUI checkpoint. These laws can be somewhat muddled when it comes to a layman’s understanding of their rights. For example, if stopped on suspicion of DUI, people might believe they have the right to refuse to take a breath test to determine blood alcohol content (BAC) when they don’t. The law of implied consent means that the driver must take the test or will be charged with refusal even if he or she wasn’t drinking at all. A DUI checkpoint is different from a DUI traffic stop. With a traffic stop, the officer is required to have a reason for pulling the car over. If there is no reason for the stop, the entire process could be invalidated even if the driver was drunk. At a checkpoint, the officer will ask for your driver’s license, registration and proof of insurance. The questions asked might seem innocuous and you are only required to give your vital information. You can politely refuse to answer questions that go beyond basic information. You are also allowed to refuse if the officer asks to search your vehicle. A person who is stopped at a DUI checkpoint and winds up being arrested for DUI needs to be aware of the options available. 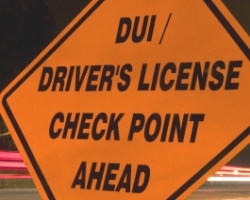 The officer is required to follow certain rules when working at a DUI checkpoint and if these rules are violated, then the arrest might not be valid and the charges thrown out. For example, there must be adequate public notice as to the checkpoint. When field sobriety tests are given, they must be given fairly on even ground so that their results are not negatively affected by something other than alcohol or drug use. If a breath test is given, the officer must observe the driver for 20 uninterrupted minutes to ensure the driver doesn’t throw up, chew gum or do anything that might influence the test results. In addition, regarding breathalyzer tests, the machine is required to be properly calibrated and the officer must be certified to give the test. A machine that is not in proper working order could give a false reading and say someone has surpassed the legal limit of 0.08% BAC when they haven’t. When arrested for DUI at a police checkpoint in New Jersey, it is very important to discuss the case with an attorney to ensure all the proper procedures were in order and your rights were not violated. If they were, the charges might be dismissed.